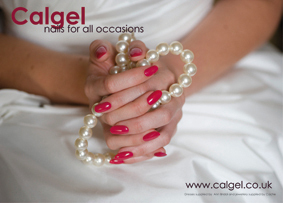 Calgel is known worldwide as one of the best gel nail systems around. This fabulous gel offers you perfectly groomed nails that won’t chip or wear away. Perfect for ensuring no damage to your natural nail. Calgel can be applied to you natural nail or an extension. Hard wearing and lasting four weeks with the option of infill’s to keep your nails looking and feeling amazing. 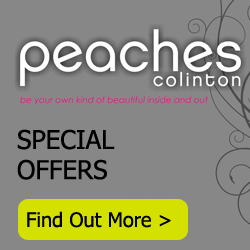 Here at peaches we offer a vast range of colours and nail art options for all occasions. To maintain your beautiful nails, maintanence is needed every 2-3 weeks. Were we infill and rebalance your nails. Treat them like jewels not tool. Calgel is a revolutionary semi-permanent clear and coloured gel (often referred to as an everlasting polish or semi-permanent nail polish) which is applied to the natural nail. With proper maintenance gels can last for up to 6 weeks. This Individual homecare kit provides you with all the products that is required for correct home maintenance in between Calgel treatments. For every client who wants their Calgel nails to always look their best! Hybrid Gel nail polish lasting 2-3 weeks, Gelish offers a chip free perfectly polished look for all occasions. From dazzling glitters to natural nudes we have a colours and designs to suit all! This soak off gel polish is easily removed with no damage to the natural nail and can be applied to both fingers and toes. Your nails are not tools treat them like jewels! If you have any problem with your enhancements please pop back into the salon asap and we can repair them easily. If you bite or pick your nails, a warning must be given that if you do this to the nail enhancements it will weaken them and substantially reduce the life of the enhancement as well as cause damage to the natural nails. Nail enhancements are not to be used as tools to pick or scratch at things as this puts undue pressure on the enhancement and may cause them to weaken and break. Nail enhancements will be weakened and damaged by harsh treatment e.g. Both gels are porus allowing nails to breath, grow natural and absorb nail oils, but therefore ensures that gloves must be worn if using any cleaning products/solvents or soaking in water i.e. washing dishes, hand washing or bath as these will hinder how long your nail enhancements last. Relative to a client’s life-style and activity level, nail enhancements may need fortnightly or three weekly maintenance. When wearing nail enhancements, avoid pulling backwards against the tips of the nails; this could cause injury or breakage. e.g. pulling laundry out of the washer. Use a recommended oil daily for moisturising nail enhancements to keep them flexible. Treat your new nails with care until you get used to them. There are many traps for unsuspecting nails,(car doors, kitchen cabinets, switches, etc.) be aware of them and you will soon get into the habit of using your hands in a different way. Leave your new nail enhancements alone and let your professional nail technician look after them for you.